This is a spiritual organization functioning in all the parishes of the Orthodox Church throughout the world. It takes care of the spiritual nurturing of the children, by bringing them up in the knowledge and fellowship of Jesus Christ and His Church. The curriculum followed is jointly prepared and published by the Oriental Orthodox Churches. The vacation Bible School conducted (OVBS) is a very vibrant wing of the O.S.S.A.E. For OVBS, separate text books, devotional materials, song books and cassettes are published every year. Every Sunday, the St. Thomas Indian Orthodox Cathedral's Sunday School has one main goal when they gather - to worship their Creator with their inmost being and to cherish Him fully. Our mission, here at the STIOC Sunday School, is to equip kids of all ages with a thorough understanding of God's word, His precepts and His nature so that they can embrace their spirituality in whatever circumstances they find themselves in. We achieve this through our well structures program, which provides a delicate balance between learning new songs, and new concepts as well as delving deeper into the scripture. 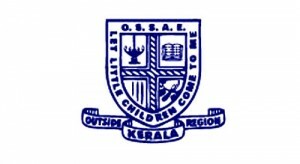 Students are split up into their respective academic cohorts (ranging from Tiny Tots to Year 11,) and follow the syllabus and books published by the OSSAE. The purpose of these classes is to provide a more holistic insight into specific issues affecting different ages as well as a more thorough understanding of the scripture and theological concepts. Every year we conduct two exams and acknowledges the high achievers on a special occasion at the end of the Sunday School year. Sunday School teachers also actively encourage the students to participate in the Qurbana services, through bringing them to sing in the church choir, as well as supporting and teaching alter servants on their duties. Along with our weekly activities, we encourage and support our kids through annual events such as the Sunday School Talent Show, Picnic and Orthodox Vacation Bible School. Also, we take an active role in the Cathedral's celebrations such as St Thomas day and Christmas. Overall, STIOC Sunday School is committed and focused to delivering the best spiritual education to our children, to further develop their relationship with the Kingdom of God and to truly establish them as stewards of His Good News.